These reviews for Mark Lovett Web Design are ‘real’ reviews, not to be confused with the more common ‘fake’ reviews that populate the internet. 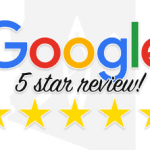 These reviews are all hard earned from real clients, and can be verified on google and yelp at the following two links. ‘Real’ reviews, that can be verified, are an important part of SEO. For more info about how reviews can help rank your website check out my article “ How To Make a Website Rank 1st In Google“. Empathy-the ability to understand the concept of what I wanted to create. Design Capability-I did not want a cookie cutter approach that looks like all the other sites on the web.. I wanted a site that was both professional and with a unique look. Technical Capability-the ability to build a functional site that would work well. Mark produced on all three counts. He was effective in getting the site developed and was readily available throughout the entire process. I would recommend him to anyone who requires a new website or an overhaul of their current one.